Cities both big and small find themselves focusing on economic development to improve the lives of their citizens, help local businesses, and their local economy. One challenge that cities and local employers face is both attracting new talent to their region and retaining their local workforce. With a job board that is focused on your community employers have a chance to get noticed there, instead of jostling for attention next to jobs in other locations that may lure local talent away. It can also give local candidates the platform to showcase their resumes and be approached proactively by nearby employers. 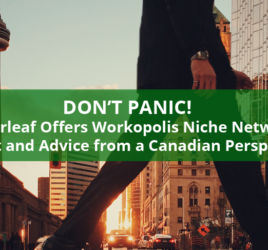 Whether it’s career advice or industry news, Careerleaf is a big advocate for job boards that publish original content beyond job posts, as it helps both with SEO and helps create returning users, which in turn can produce better results for employers. A great way for municipal job boards to both get noticed and help their employers is to publish content that showcases what it’s like to live in the area. Highlighting the benefits of living in your region can not only help attract new workers to the area, but also help existing local talent be reminded of them, and factor those benefits in when deciding where to live and work in the future. Employers can point to this information as a part of their recruiting efforts and growing their business. Many small and medium-sized businesses in your municipality may not use or may not have access to the kinds of recruiting tools that larger organizations take for granted and use to their advantage when hiring. Applicant tracking and candidate management tools that help hiring managers organize, screen, and shortlist job applications are certainly more efficient than working with email attachments and spreadsheets. Beyond that, municipal job boards provide tools for developing employer brands. 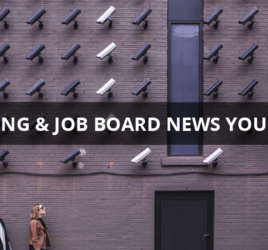 Businesses can use their local job board to advertise not only the roles they have open, but also promote themselves as employers and the benefits of becoming their employee. Of course, one of the most valuable tools that regional job boards can give SMBs is the ability to get their jobs in front of local workers who might not otherwise have heard about them or their open opportunities. Some of the most successful job boards of any kind are those that act as “career communities”, providing value to more people than just those actively looking for work and staff. By using your municipal job board as a venue for community engagement – a resource for helping citizens develop their careers and for employers and businesses to engage with the local talent pool – you increase its usefulness and value as a portal for connecting employers with talent. Online communities are especially helpful when it comes to connecting with younger citizens (who are accustomed to finding information and communicating online) with people and organizations who may not previously have had access to digital and mobile-friendly tools. Local governments, chambers of commerce, and business improvement associations can use municipal job boards as a part of economic development strategies that are focused on workforce development, business retention, supporting small businesses, and connecting young people with opportunities.